Are you seeing red? 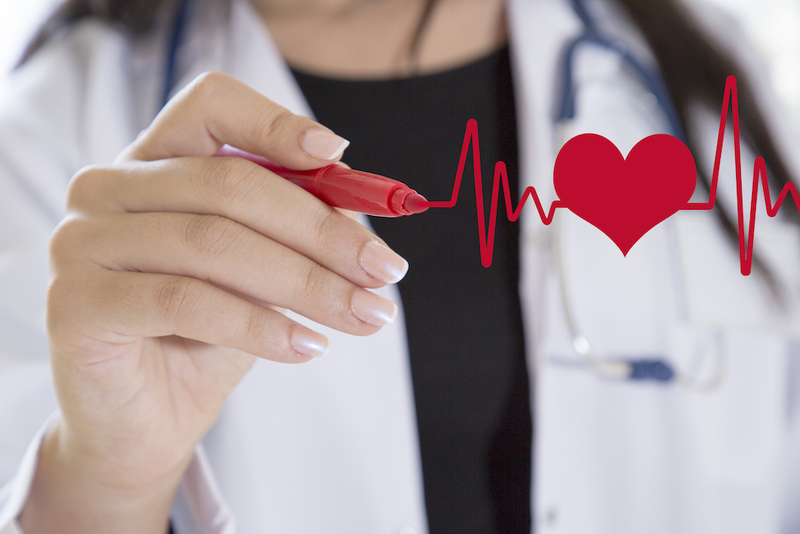 February is not only known for Valentine’s Day, but it is also Heart Health Month. What better time to learn about the changes that occur with the cardiovascular system during pregnancy than now? It’s no secret that the different systems of the body change during pregnancy to compensate for growing a human, but what exactly are the associated changes with the cardiovascular system? Cardiac output (the amount of blood the heart pumps through the circulatory system in one minute; measured by stroke volume and heart rate),1 blood volume, and heart rate all increase during pregnancy.2-4 Cardiac output increases 30-50% during the first and second trimesters due to an increase in blood volume and heart rate, with the largest increase occurring by 16 weeks of gestation.3,5,6 Blood flow to tissues and organs increases during pregnancy to meet increased metabolic needs. Cardiac output increases to meet these increased metabolic needs and occurring fetal growth. This increase in blood volume with a larger increase in plasma volume makes taking iron during pregnancy very important. By taking iron you are ensuring that hemoglobin generation is not limited due to insufficient iron stores. Since hemoglobin concentration is already disproportional to plasma volume increase, it is important to try to prevent iron deficiency during pregnancy. PrimaCare&trade offers 30 mg of chelated iron known as Sumalate® (ferrous asparto glycinate). So, when you see all of the reds and pinks this month for Valentine’s Day, don’t forget the importance of taking care of your heart so it can take care of you and your growing baby! REFERENCES: 1. Medical Definition of Cardiac Output. Website. https://www.medicinenet.com/script/main/art.asp?articlekey=7524. Reviewed May 13, 2016. Accessed February 2, 2018. 2. Mohamad TN, MD, FACC, FSCAI, RVPI. Cardiovascular Disease and Pregnancy. MedScape Website. https://emedicine.medscape.com/article/162004- overview?pa=vbV9zaiSRUFfuuv%2F6HJJRATqxI7eGKPb%2FwJdOV7TOn63BJxdokd7wGXvJhN9JuPKFm5eeCb%2BCQlc4m1sFLfuxLgBDMq1ViPqSPL9dyqCLrY%3D#a2. Updated: Jan 10, 2017. Accessed February 2, 2018. 3. Hall ME, George EM, Granger JP. The Heart During Pregnancy. Rev Esp Cardiol. 2011 November ; 64(11): 1045–1050. doi:10.1016/j.recesp.2011.07.009. 4. Soma-Pillay P, Nelson-Piercy C, Tolppanen H, Mebazaa A. Physiological changes in pregnancy. Cardiovasc J Afr. 2016; 27: 89–94.DOI: 10.5830/CVJA-2016-021. 5. van Oppen AC, Stigter RH, Bruinse HW. Cardiac output in normal pregnancy: a critical review. Obstet Gynecol. 1996 Feb. 87(2):310-8. 6. Robson SC, Hunter S, Moore M, et al. Haemodynamic changes during the puerperium: a Doppler and M-mode echocardiographic study. Br J Obstet Gynaecol. 1987 Nov. 94(11):1028-39. 7. Shime J, Mocarski EJ, Hastings D, et al. Congenital heart disease in pregnancy: short- and long-term implications. Am J Obstet Gynecol. 1987 Feb. 156(2):313-22. 8. Hematocrit. Merriam-Webster. Website. https://www.merriam-webster.com/dictionary/hematocrit. Accessed February 2, 2018. 9. Rodger M, Sheppard D, Gandara E, Tinmouth A. Haematological problems in obstetrics. Best Prac Res Clin Obstet Gynaecol 2015; 29(5):671–684.